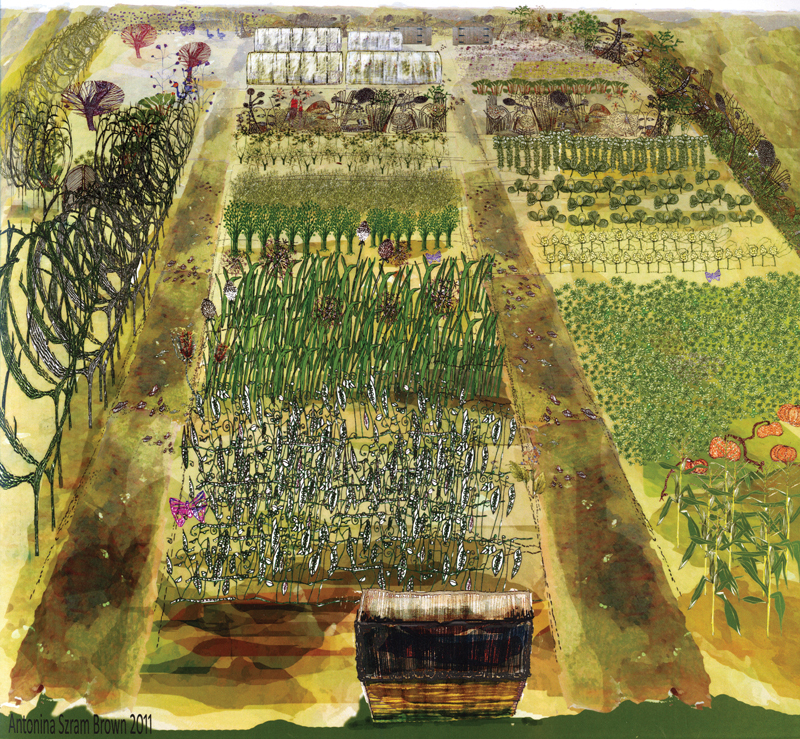 This illustration of Camel Community Supported Agriculture’s grow-our-own veg plot in Cornwall is by the very talented artist Antonina Szram Brown. Antonina and her husband Jeremy run St Kew Harvest Farm Shop, specialising in good food and fresh produce that includes their own homemade artisan bread. They’re both deeply committed to making local food work in our part of north Cornwall. Camel CSA rent two acres of land from the Brown family at St Kew Highway near Wadebridge. Jeremy is one of the local growers who supplies top-quality produce for our weekly veg box scheme.